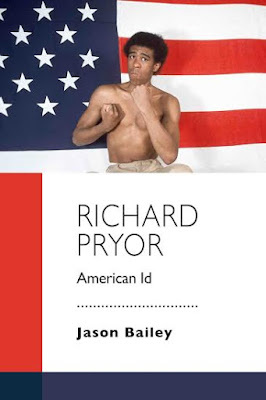 As you may recall, I wrote a book a while back for The Critical Press called Richard Pryor: American Id. (I even wrote about writing it, on this very blog.) And then I sent away to my publisher, where my editors and I worked and reworked it and then they ran it through magical softwares that turned it from Microsoft Word documents into an honest-to-goodness book, which you will be able to read on either processed wood pulp or a small screen, whichever way you swing. 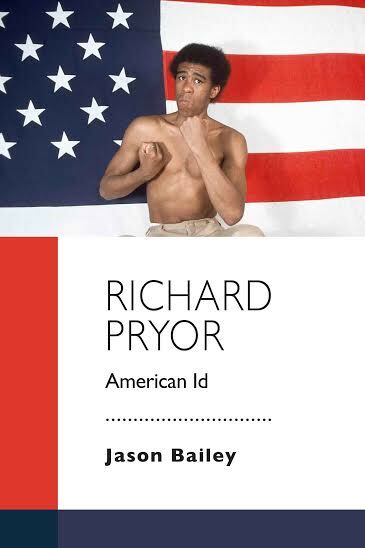 And while all that was happening, I reached out to the author of the best Richard Pryor biography, in addition to some of the writers I admire most in the fields of film and comedy. And lucky for me, they liked the book, and were even willing to admit it in writing. So if any of those blurbs or the trailer did the job they're supposed to do, you should currently be in a state of panic--I must read this book, how can I do that?!?! To which I first say calm down, and then I mention that it will be out in the fall (the official publication date is November 3, but that somehow means it'll be available, I dunno, I don't understand publishing). BUT! You can pre-order it now, to be extra-super-certain that you'll get it as soon as possible. First off, you can pre-order the paperback directly from The Critical Press here. It's $15--A BARGAIN (and they've got it on sale for 35% off today only). Now, if you're more of an Amazon person and would rather have it show up in a box with your case of coffee or diapers or whatever, here's the link to buy the paperback from them. And finally, if you're an e-reader, you can pre-order the Kindle version from Amazon, which means the moment it's available, it'll show up on your Kindler or tablet or iPhone or however the hell you kids read the books nowadays. So there's your big update on the book. Have I mentioned how proud I am of it? I'm very proud of it. I hope you'll buy a copy, and I hope you enjoy it, and thus concludes this commercial announcement.